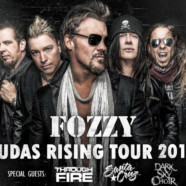 FOZZY, the active rock band led by Chris Jericho, will continue to rock their fans across America on their Judas Rising Tour with newly added tour dates in 2018. Set to launch February 28 in New Orleans, LA, the 25-date trek will take the band (Jericho: vocals, Rich Ward: guitars, vocals, Frank Fontsere: drums, Billy Grey: guitars and Paul DiLeo: bass) from east to west, including stops in Los Angeles on March 10 and New York City on April 5, before bringing them back across the country through the spring. Through Fire, Santa Cruz and Dark Star Choir will round out the bill for the night of rock headlined by FOZZY. Tickets for these newly announced dates (see below for list) go on sale to the public Friday, December 8. 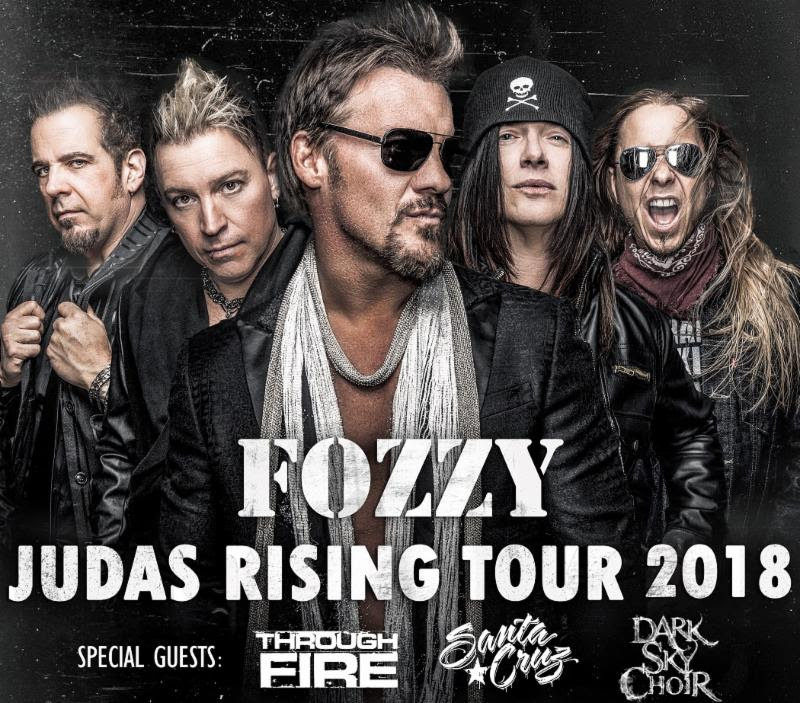 In their more than 20-year career, FOZZY has always been about hard work, dedication and delivering great rock n roll to their devoted fans worldwide; reminding them that music is all about invoking dirty, sweaty jubilation and doing it loudly! However, calling them just “entertainers” would be abridging their talent as Ward is one of the most versatile, underrated riffers in rock n roll and Jericho‘s vocal range and passion for music makes one wonder just how he is able to excel in pretty much everything he does. Throw in the powerhouse rock solid drumming of Fontsere, the blazing leads of Grey and the genius and energy of returning bassist DiLeo and it’s no surprise that FOZZY has skyrocketed into becoming one of the hottest rock acts in years.